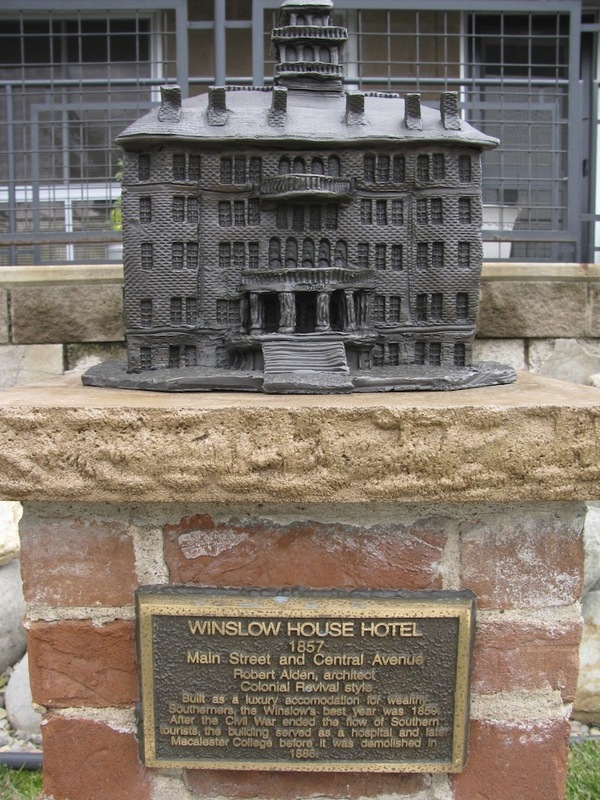 In 1856, St. Paul businessman James Winslow constructed his six-story Winslow House hotel on the site of the present-day Lourdes Square townhouses. It was built of Platteville limestone, the gray-blue stone that forms the riverbed and bluffs around St. Anthony Falls. While the crumbly stone is difficult to cut and shape, it was plentiful and easily quarried from the nearby riverbank. The 200-room hotel provided luxury accommodations for southerners who came upriver via steamboat to escape the sweltering summers and easterners who visited St. Anthony on business or as tourists. The hotel’s brief period of glory was cut short by the Civil War, when southerners stopped coming north. The furniture was removed in 1861, and the building was mostly unused until 1872, when Macalester College and the Minnesota College Hospital occupied it for a time. 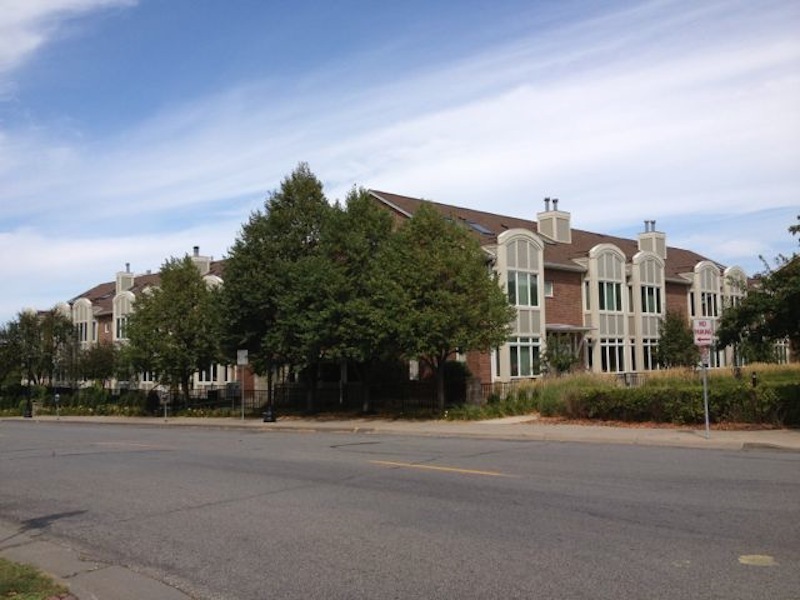 In 1886, the building was razed to make way for the Exposition Building, which was subsequently demolished to make way for a Coca-Cola bottling plant, which was later replaced by the Lourdes Square townhouses. 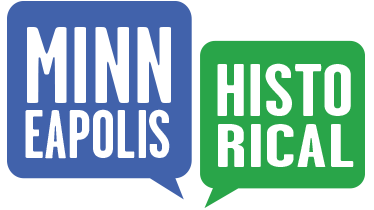 Marcy-Holmes Neighborhood Association, “Winslow House Hotel (1856) ,” Minneapolis Historical, accessed April 18, 2019, http://minneapolishistorical.org/items/show/99.